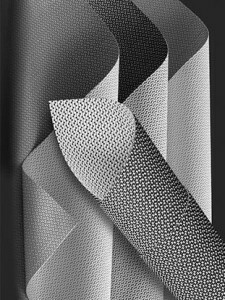 Protect interior surfaces, reduce glare, and minimize heat with Phifer Sheerweave solar screen fabric. Maximize your roller shade efficiency by using the Phifer Sheerweave solar screen fabric. Woven from thin and light weight vinyl coated polyester yarns into a unique twill weave that allows you to have a darker color on the front and keep it light on the back. This product reduces glare on the inside and rejects more heat since the lighter colors reflect more heat. Advanced heat and glare reduction is one of the Window Treatment Trends for 2014. The Phifer Sheerweave material is ideal for use in roller shades and challenges the traditional style of fabric that provides an all or nothing approach. Either the product is closed and you can’t see through it, or it is open and you have no protection from the light. The Phifer Sheerweave 4550 (5% openness) and 4650 (3% openness) offers a distinct two sided appearance that maximizes both outward visibility and solar heat reduction. 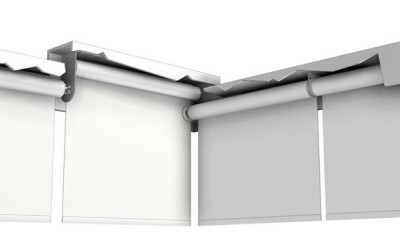 With so many options available, selecting the right fabric can be difficult, choose 3 Blind Mice to help you find the perfect roller shade for your home or office. The Phifer Sheerweave comes in a variety of colors and can be fabricated with either side facing the inside or outside. With 33 unique fabric styles and over 300 individual fabrics, trust the largest producer of sun control fabrics to offer the right material for your roller shade design. Our design consultants are ready to help you choose the right window covering.